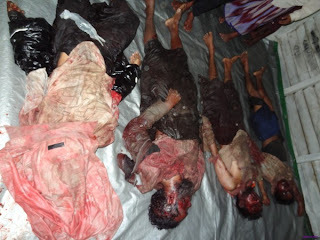 10 Muslims were chopped to dead and five other escaped in a massacre in Tongoup (Taungup) township on Sunday while they were travelling back to Yangon from Thandwe township. the two other victims were husband and wife from Tandwe township and related to driving. The car with plate number- "7 (Ga) 7868", was also burnt down. The other 5 Muslims were able to escape from brutally killing. The corpses were buried in Than Dwe on 3rd June 2012 evening. 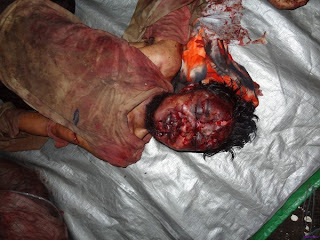 It's clearly indicate that how the Rakhines people are threatening even Muslims from outside Arakan state. Tongoup (Taungup) is one of four townships defined as Muslim-free Zones by government decree in 1983. 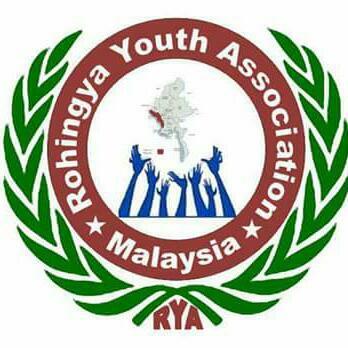 Since then several hundreds of Arakanese Rohingyans who were captured in these regions were killed directly by Rakhines involving government authorities. As a human being,The rights to live under the world.such brutal action would be really denonced.